Talk about creative! 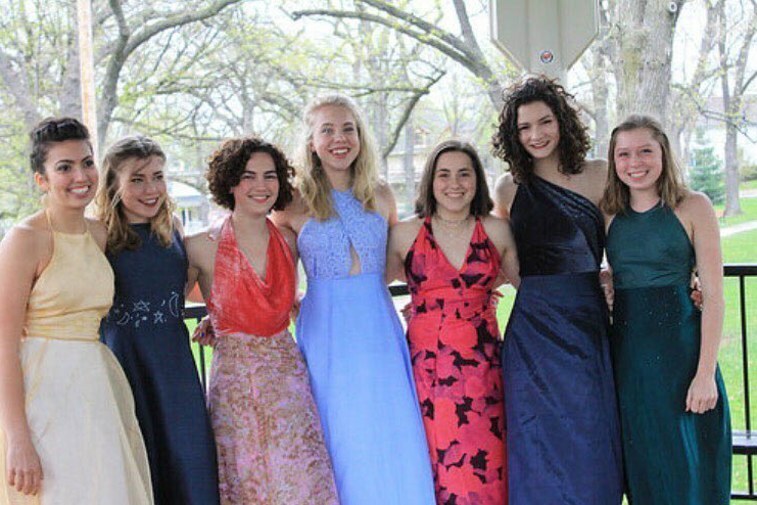 A high school junior at Madison East High School in Wisconsin made a prom dress for herself, and six more prom dresses for her friends. Maggie McGlenn was inspired by her grandmother giving her fabric for Christmas. And then she ran with it. This girl needs to start her own fashion line ASAP. And then, she decided to keep going. Maggie has been sewing clothes since the sixth grade, so she has had plenty of experience creating clothes. When it was time to create the dresses, she wanted full control over the designs. She didn’t want her friends to pay for the dresses. So it seems like it was a pretty great trade-off. Maggie did keep her friends in mind, and if she got stuck on a design element, she wasn’t afraid to consult her friends. Even though Maggie didn’t ask for payment, one friend gave her concert ticket in exchange for the dress, while another gave her money to buy the ribbons and zipper for her dress. Maggie said, "I have amazing friends who inspire me in many different ways, which definitely influenced the design of the dresses." Talk about #squadgoals! Maggie isn’t currently interested in pursing fashion when she goes to college. But we’re crossing our fingers that she continues to make more gorgeous clothes. We’d love to get our hands on one of her dresses!